Australian Chardonnay has undergone quite a transformation since the days of ‘sunshine in a bottle’, coming of age as a world-beating white. I partly blame Selector. For cementing my love affair with Chardonnay, I mean. 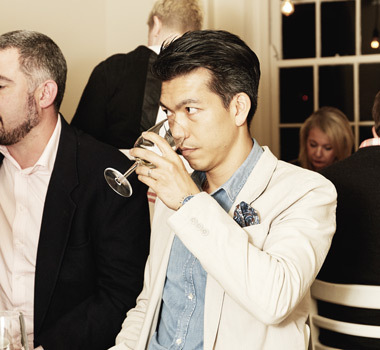 Seven years ago, Selector hosted the most ambitious Chardonnay tasting ever staged in Australia. In attendance were some luminaries of the industry, including Iain Riggs and Tyson Stelzer and it was my first tasting en masse with a variety I’ve come to adore. It ignited a solid relationship with the many styles and regions in this vast land. Yet weirdly, my affair with Australian Chardonnay had commenced a decade or more before. The other insidious ruse that Australia employed was to label their wines with the variety – virtually unheard of in the Old World and it was a genius bit of marketing. When the English were drinking Burgundy, they may not have known it was actually Chardonnay. A classic example was my mum saying she hated Chardonnay, but loved Pouilly Fuisse – a small sub-region of Burgundy that makes Chardonnay. However, the French are far too proud to put the variety on their bottles, causing mass consumer confusion. UK consumers were also buying into the image of Aussie life, summed up by the phrase for Australian Chardonnay, “sunshine in a bottle.” The label was seen as just as important as what was inside. Australia made wines that were soft and easy to drink with obvious flavours. Australia proudly screamed Chardonnay on the label, most often from South East Australia. We had visions of beaches and sun-tanned sheilas picking the grapes; never mind that it actually came from a mass irrigated desert wasteland somewhere near the NSW border and was machine harvested before being relegated to industrial amounts of new oak or worse still, flavoured with oak chips. Yet for all the joy of a tidal wave of wood that Chardonnay brought, it all imploded. The bargain bins remained full as the obvious flavour hit of the New World came crashing down and the wines became increasingly like caricatures of Chardonnay. We had some soul searching to do. Was Australia happy to stand on the world stage offering nothing but bargain basement wines, or did we want to be taken seriously? A decade later, in the middle of the noughties, a seismic shift began. 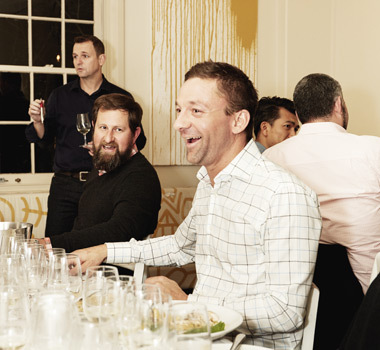 A new wave of Chardonnay producers were re-inventing the wheel, spearheaded by intelligent winemakers in regions like the Yarra Valley, Tasmania and Margaret River. Chardonnay went from being Dolly Parton (buxom and generous) to Kate Moss (skeletal and lithe), although the best example of Chardonnay for mine is the Cindy Crawford – curvy and ample, but still chiselled and toned. Earlier picking, less oak, natural acid and throwing away the process of malolactic fermentation saw the rulebook re-written. It was time for Chardonnay to grow up and make an impression. What a renaissance occurred. And the world took notice. Since then, any Chardonnay producer worth their salt has worked hard to improve the breed. 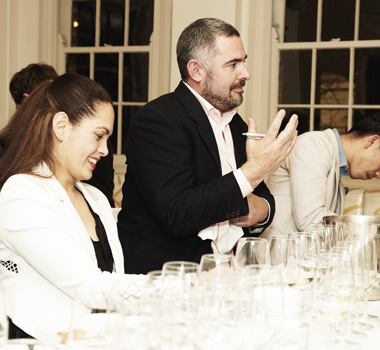 To help bring our doubting guests around to the charm of Chardonnay, we were fortunate to be joined by Usher, who offered some insights and, as luck would have it, his Reserve Chardonnay 2016 – a unanimous crowd favourite. It’s also extremely food friendly, depending on the style – Chardonnay can be versatile and extremely easy to pair with a variety of dishes. You only need to think of crystalline Chablis with oysters, a generously oaked Chardonnay with roast pork or chicken, and something in between for scallops and lobster. Don’t forget that Chardonnay is also excellent with soft cheeses. It certainly added an extra dimension to the tasting having food to accompany the wines. This was particularly true of the second bracket, which all had high levels of acidity, and so illustrated how food can really enhance the wine experience. The fusilli with crab, chilli and herbs helped soften the acidity, making for a harmonious matching. Chardonnay is planted in virtually every region in Australia, but the ones that have excelled include Margaret River, Yarra Valley, Hunter Valley, Tasmania and the Adelaide Hills. Bubbling under for quality there’s Orange, Mudgee and Tumbarumba, Mornington Peninsula and Macedon Ranges, Beechworth and Coonawarra. On the night, it was the Hunter Valley and the Adelaide Hills that got the most nods with support also going to Mudgee, Coonawarra and Margaret River. 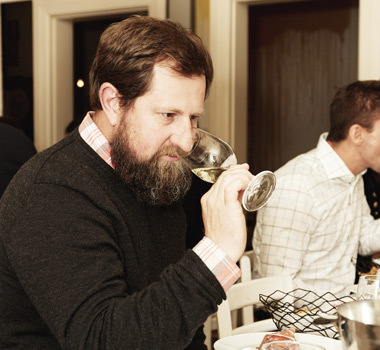 The styles were varying among the different regions, but showed clearly the development of Chardonnay and the multitude of ways that winemakers are manipulating the variety in their favour to create the best expressions. What it certainly showed is there’s no doubting we’ve come of age and the new dawn of Australian Chardonnay has emerged victorious. Merlot is a mystery to a lot of us. Many other red wine grapes have much more recognisable varietal personalities, giving them more immediate impact than Merlot . Cabernet Sauvignon , for example, nearly always says ‘Cabernet’ emphatically, via varietal cues that cut across the vagaries of region, climate, winemaking, and culture. Blackcurranty character, leafy austerity, angular, savoury personality and tannic backbone mark Cabernet-based wines, apparent even in warmer, riper versions. So it is with Pinot Noir ’s distinctive fruit characters, softness and silken structure. Pinot Noir says Pinot Noir loud and clear, but what of Merlot? Confusing Merlot’s identity crisis is the multiplicity of different styles available. In the coolest places, the variety’s leafiness can become too herbal and green; in the warmest places, it can be big, jammy and soupy. When overcropped and made on an industrial scale, Merlot can be washed out, sometimes sweet, a simple quaffer. In the middle of all this, we find Merlot’s ideal spot in skillfully tended vineyards in temperate areas. Here we encounter suggestions of plum, mulberry and fruitcake, raspberry, cherry, violet, spice and dried herb hints, maybe chocolate and olive from oak input. These wines tend to be soft, plump and juicy, worthy of plenty of attention as a friendlier type of red wine than tannic Cabernet or Shiraz . Compared to Cabernets, Merlots are generally much lower in methoxypyrazines too. These compounds in grapes give raw, green, herbaceous characters that can be shrill and unpleasant, another reason for good Merlot’s friendly personality. Cabernet’s comrade Merlot’s historic role as a blending variety also tends to compromise its individual identity. In its Bordeaux home, its early ripening characteristics act as insurance against the later ripening Cabernet Sauvignon, especially across difficult vintages. Merlot develops higher sugar levels and riper fruit characters weeks before Cabernet, and it’s planted much more widely in the Bordeaux region as a result. Its rich, supple personality tempers Cabernet’s more severe traits in a blend, and it usually doesn’t need nearly as much mellowing bottle age to be gluggable. Around the world Merlot’s fortunes have been improving worldwide over the last few decades as plantings have expanded into new territory. Chile has been at the forefront and has built a large export market for easy-sipping Merlot. In the Old World, Merlot has been replacing other more mediocre varieties in vineyards across the European continent. Its international appeal and reputation for friendly wine has supported vast new plantings in places like France’s south-west as the French hit back after the inroads New World wineries have made in their traditional markets. French wine drinkers possibly don’t know Merlot by name very well, but they like it and so do their international customers. American consumers have an idea what to expect from Merlot – softness, maybe a little sweetness, easy drinking. New Zealanders are also familiar with Merlot’s easy manners and the variety has traditionally sparred with Pinot Noir as the red of choice for Kiwis. In recent times, NZ Pinot has been ascendant, but Merlot is still in the mix. Generally, Australians are much less Merlot-aware. No mention of Merlot can be made without referring to the cult American movie Sideways . In the USA, Merlot is the second most popular red wine grape after Cabernet Sauvignon, mainly due to vast quantities of soft, low tannin reds that appeal to wine novices. In Sideways , made in 2004, wine tragic and wine snob Miles rails loudly against Merlot. “If anybody orders Merlot, I’m leaving. I am not drinking any f…ing Merlot,” he declares, and his comments contributed to a drop in Merlot sales in the USA, the UK, and probably Australia. Merlot has recovered, but I suspect a slightly negative perception lingers, helped by Merlot’s lack of a distinct varietal identity in the minds of many consumers. Taste expectations So to discover what makes Merlot tick, we recently gathered together a panel of eight keen Merlot fans from the ranks of Wine Selectors Members for a tasting dinner at Melbourne’s Papa Goose restaurant. Joining them were Selector publisher, Paul Diamond and yours truly. 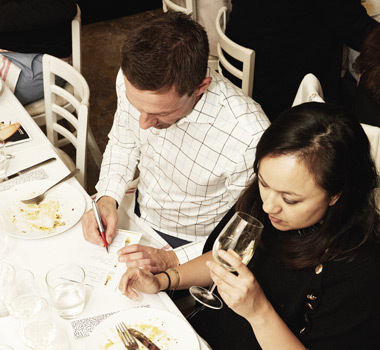 Sixteen wines from across Australia were served masked in brackets of four. South Australia was represented by seven wines from a diversity of regions, with the emphasis on somewhat cooler places like the Adelaide Hills , Eden Valley and Limestone Coast/Coonawarra regions. Victorian wines included examples from the Yarra Valley , the Pyrenees and the warm vineyards of Rutherglen , while New South Wales and Western Australia presented a cross-section of vineyard sources. 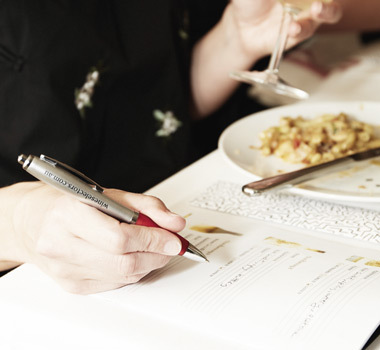 As we sat down to taste, we made a quick survey of what the Members looked for in Merlot. “I like Merlot because it’s not too heavy,” said Wine Selectors Member, Darren Dean, “It’s soft, easy to drink, sweet and smooth.” Fellow Member Ingrid Fraser agreed. “They are soft, complete wines, plump and lovely,” she said. Paul looked for, “consistency of mouthfeel, smooth texture, seamlessness.” Softness and smoothness were terms most tasters used to describe Merlot’s general appeal. Were these characteristics reinforced as the dinner progressed and the group came to terms with the wines served? Paired to perfection Matching food and wine is much discussed in the gastronomic world. 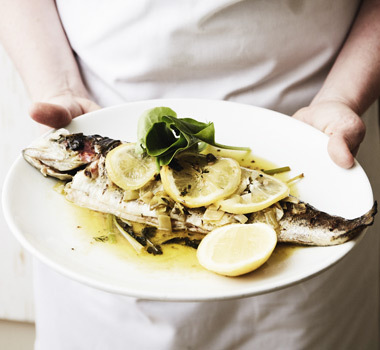 Carefully constructed dishes, devised with a particular type of wine in mind, can offer experiences that transcend the simple idea of eating and drinking. When we consider food-friendly wines, the softer, lighter, lower tannin drops offer more food compatibilities than bigger, tougher wines. Thus, Pinot Noir, or softer, cool climate style Shiraz, works well where the big bruisers fall short. On this basis, Merlot should excel as a food wine, and as the dinner progressed, the pairings proved harmonious. This was due to Papa Goose chef Neale White’s intuitive ability to create Merlot-compatible dishes to complement the wines. The four course menu began with a superb dish that echoed Merlot’s charm. Cured and smoked duck breast was accompanied by beetroot, raspberry and red sorrel, all flavours that dovetailed superbly with the first bracket of wines. Gnocchi with king oyster mushroom, tarragon and amaretti cream pointed up the depths of the following group of four wines, with rich flavours and textures woven through aromatic ones. Eyebrows were raised when we saw that the porterhouse with red wine sauce was coming with caraway coleslaw – caraway can be formidable – but the dish’s subtlety actually drew out some of the foresty, herbal notes in the wines, making the sum of the parts far more than the individual inputs. Cheese can be problematic with a lot of wines, but the mild, mature Pynegana Cheddar, served to finish dinner, had fruity accompaniments of chutney, quince paste and muscatels to temper it. Merlot stood up to the entire menu, confirming its delicious suitability at the table. The dinner confirmed in everybody’s eyes that Australian Merlot does indeed have its own distinct personality, and that it deserves to be centre stage alongside better-known brethren like Shiraz, Pinot Noir and Cabernet Sauvignon. Merlot should be on everybody’s shopping list. Grenache is a variety that relishes warm climates and improves as the vines grow old, which is why the Barossa Valley and McLaren Vale , two of Australia’s oldest regions, produce some of the best expressions. The Barossa, in particular, has blocks of wine with Grenache from 1850 still producing wines, each and every year. Grenache is a red grape variety that relishes heat and can relatively easily produce ripe, full styles of wine. Perhaps Grenache was grown initially on sites that were more akin to producing a generous crop for fortified winemaking. But, now many wineries are searching for more finesse and picking these Grenache blocks earlier and seeking red fruit rather than riper black fruit flavours. The majority of Grenache in the Barossa is not trellised; it is grown as a bush-vine. These bush-vines tend to take care of themselves, allowing more air flow and light penetration. The Barossa and McLaren Vale are considered the two leading regions for Grenache in Australia. And it is always a great debate as to which consistently produces better quality wine. Tasting Notes With a similar weight and tannin structure to light to medium bodied Shiraz, Grenache is light on the palate and is all about purity of fruit. With aromas like pomegranate, wild strawberries, violets and red fruits and a palate that’s restrained and fine in texture, it is often blended with Mataro/Mourvedre, which provides a heightened element of spice and tannin. But, with careful oak treatment, Grenache can produce be a splendid single varietal wine. South Australia has old vines, this resource cannot be understated. We work with vines ranging from 50 to 90 years old. Grenache is extremely reflective of where it’s grown. In McLaren Vale, we see lighter bodied, more aromatic styles from Blewitt Springs and Clarendon. Down on the flats of Tatachilla, we see a far heavier, richer, full-bodied styles.